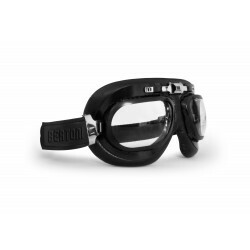 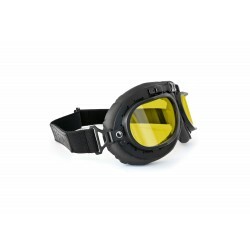 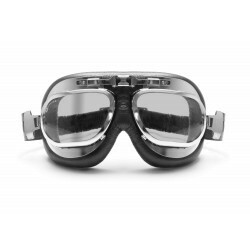 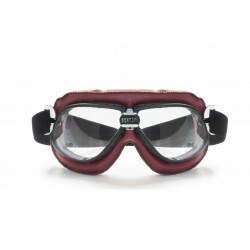 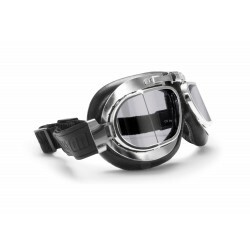 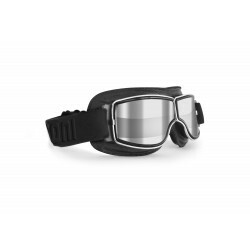 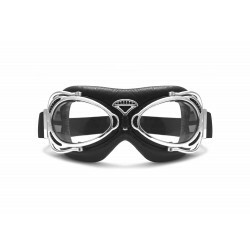 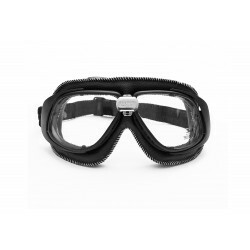 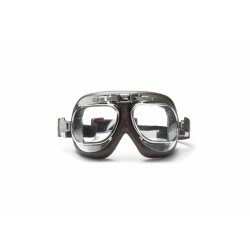 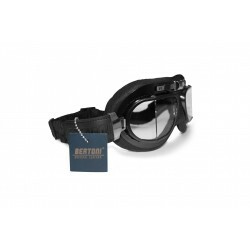 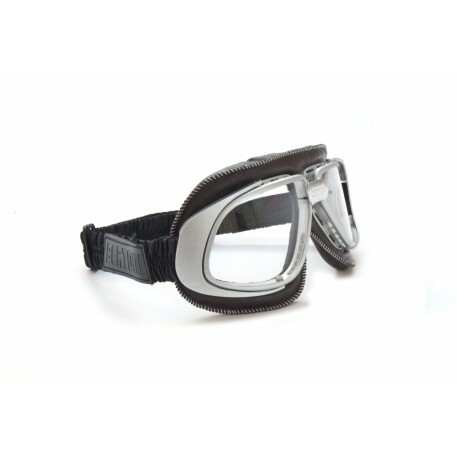 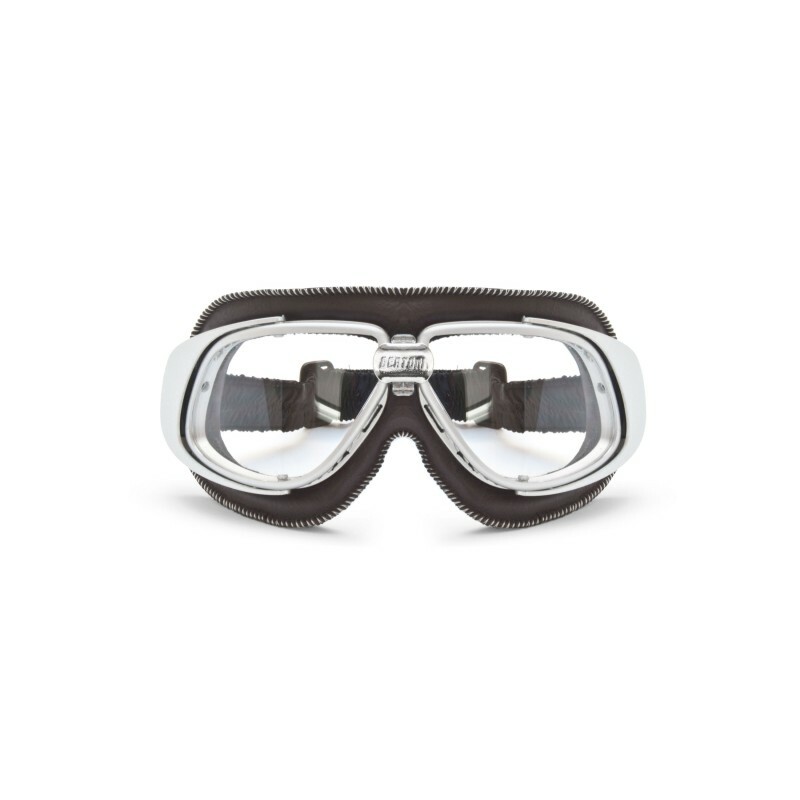 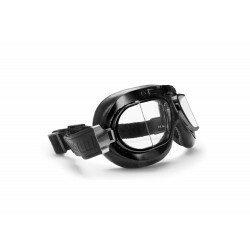 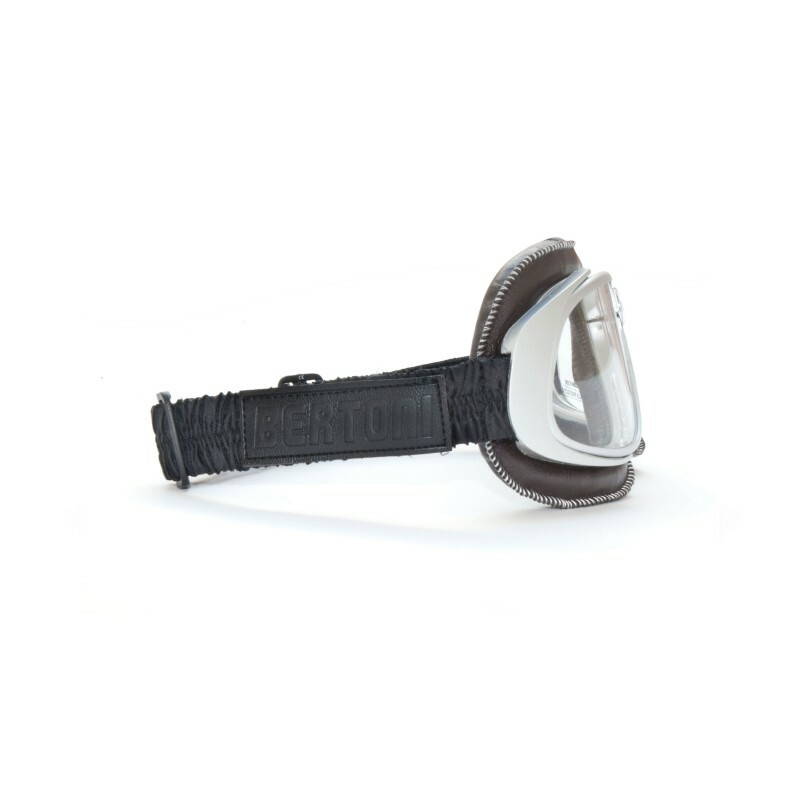 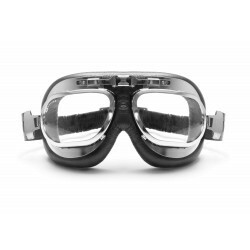 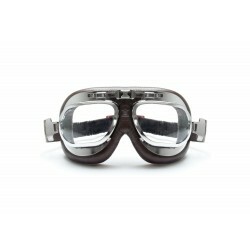 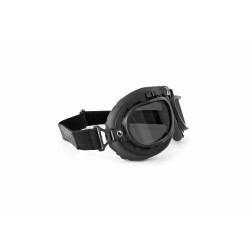 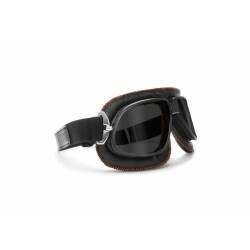 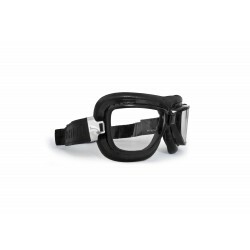 AF190:Vintage goggles for motorcycle in brown color, antifog lens, adjustable strap covered by silf, the hook is strategically positioned on the frame to draw the strap forward and backward from the goggle's frame to provide a perfect fit in a wide range of helmet The frame is made in stainless steel and it's covered by black leather. 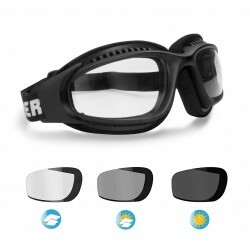 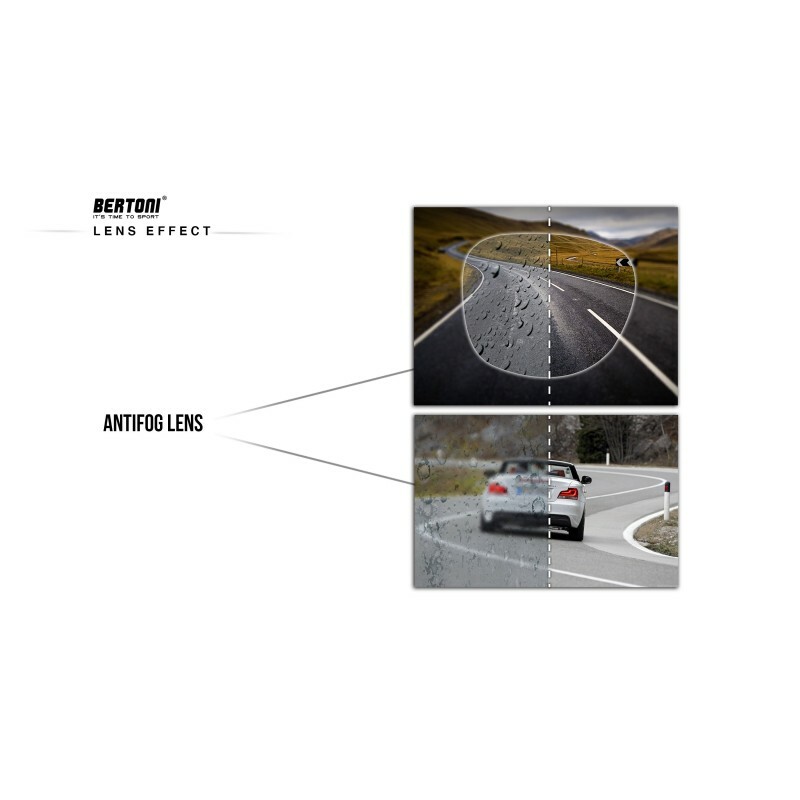 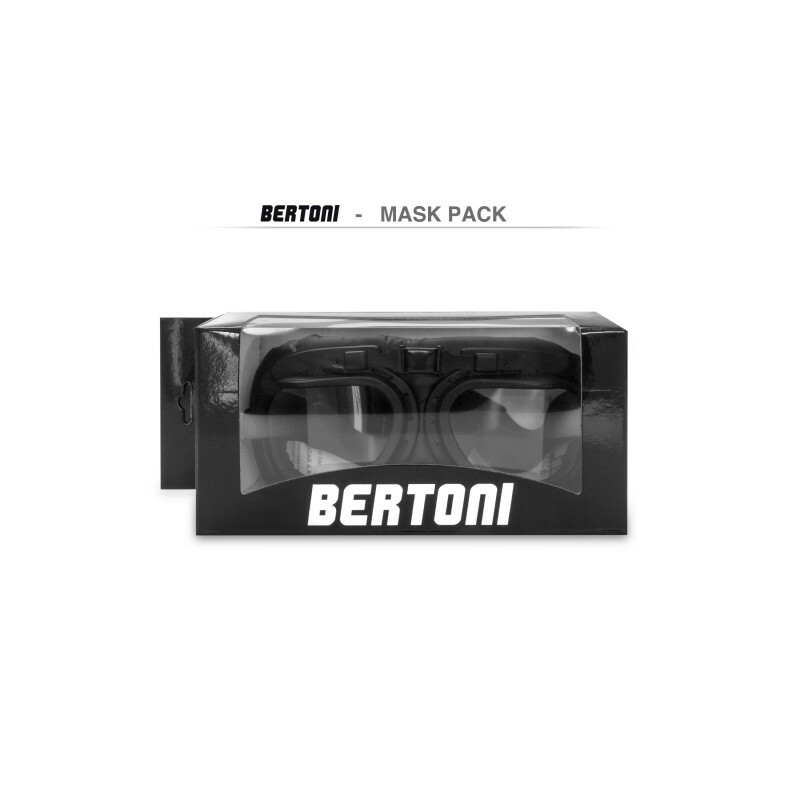 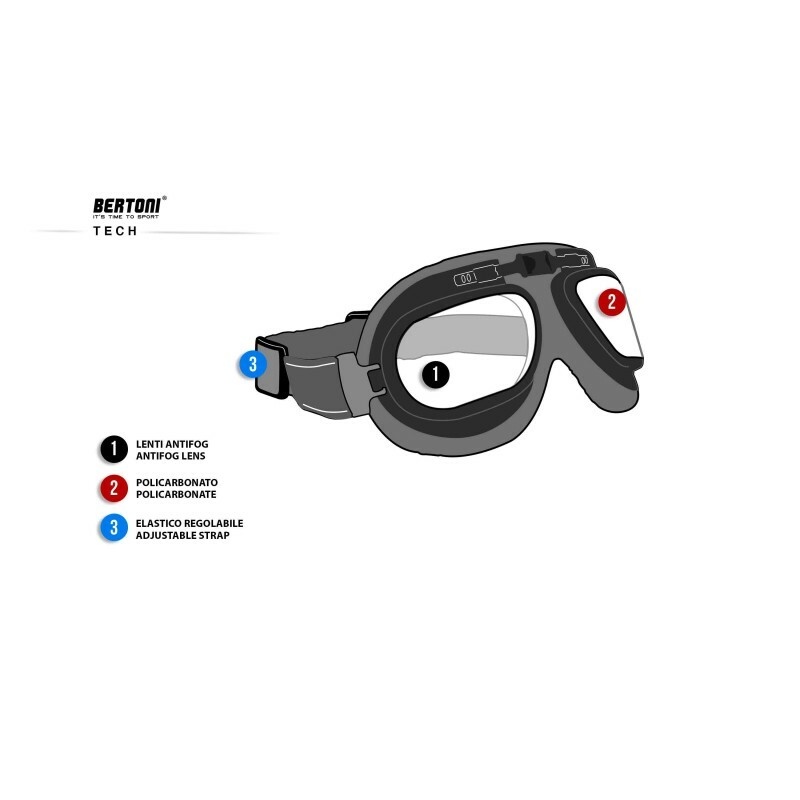 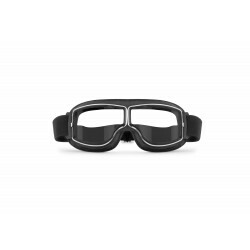 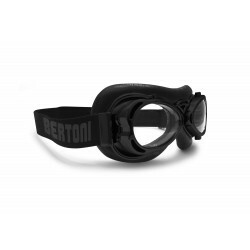 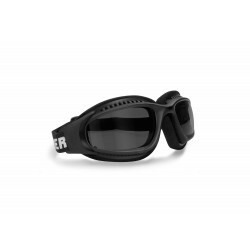 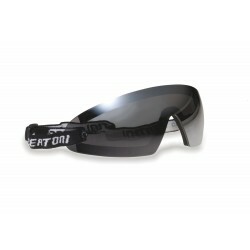 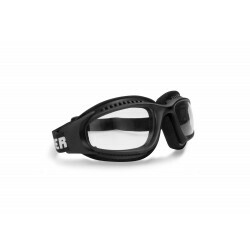 The lenses are made in polycarbonate anticrash with 2,2 mm of thickness and they are treated with an anti condense resin that avoids the fog. 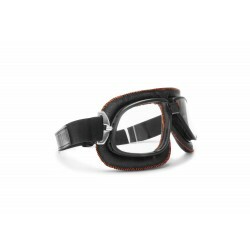 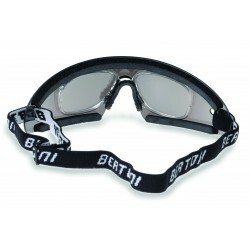 The classic strap is adjustable and it can be adapted to all kind of helmets "jet"..